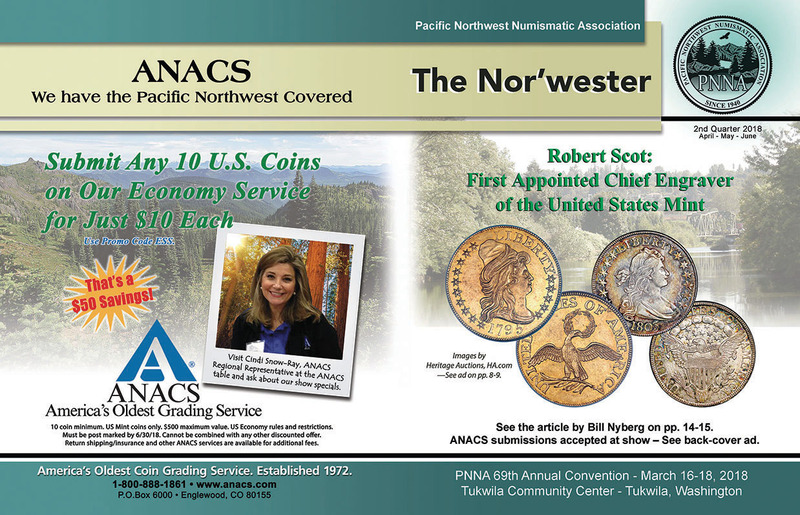 The biggest annual coin show in the Pacific Northwest, sponsored by the Pacific Northwest Numismatic Association (PNNA) and now in its 18th year in Tukwila, was once again a big success, with strong attendance in moderate weather conditions. Total three-day paid attendance was approximately 1,000 as usual. See the convention dealer list. 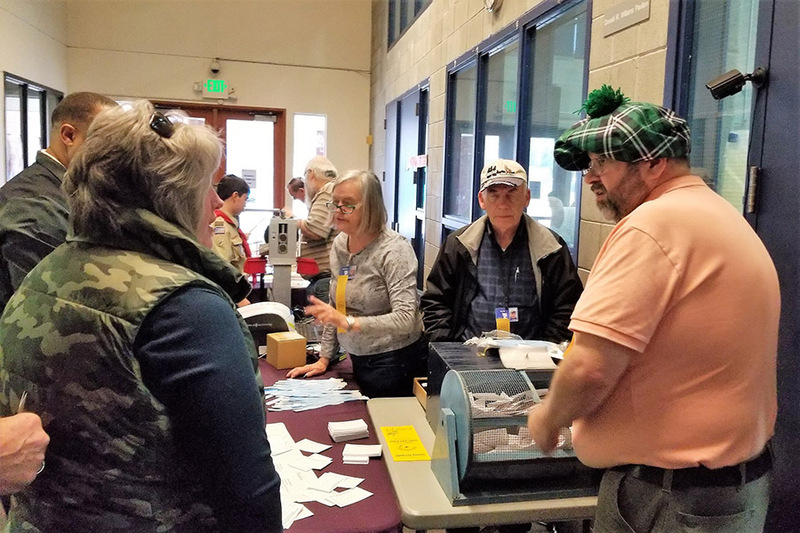 Photos: Left - Rick Schulz operates and explains the always-popular "penny press;" Right - convention general chairman Kevin Charboneau greats visitors while wearing an appropriate cap for St. Patrick's Day! Photos courtesy of Ray Fiorini, Sound Hill Coin Club. 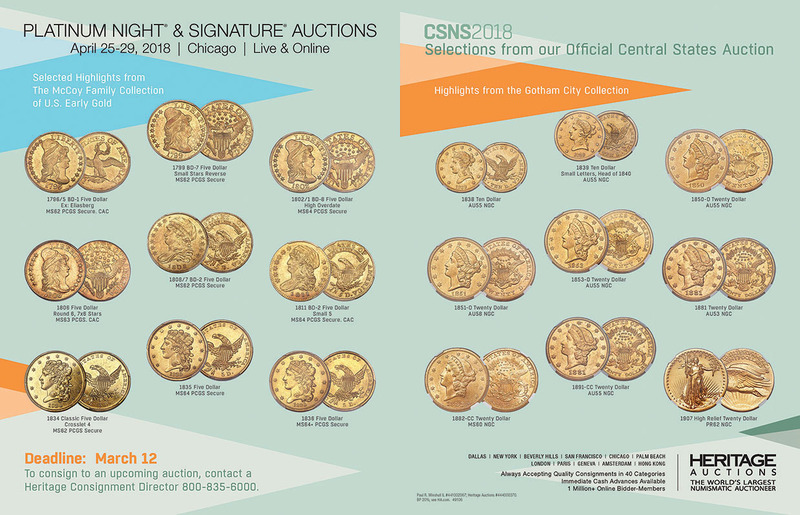 In addition to bourse activity, there were collector exhibits, awards, meetings on Saturday, and a popular Young Numismatists (YN) program. See 2018 Spring Convention special edition of The Nor'wester online. Some of the award winners are pictured below. Juniors on the bourse floor were excited to have the opportunity to complete a set of numismatic items as part of the Young Numismatist (YN) "Treasure Hunt" game. Participation was strong on Saturday, with the program conducted by ANA past president Walt Ostromecki. 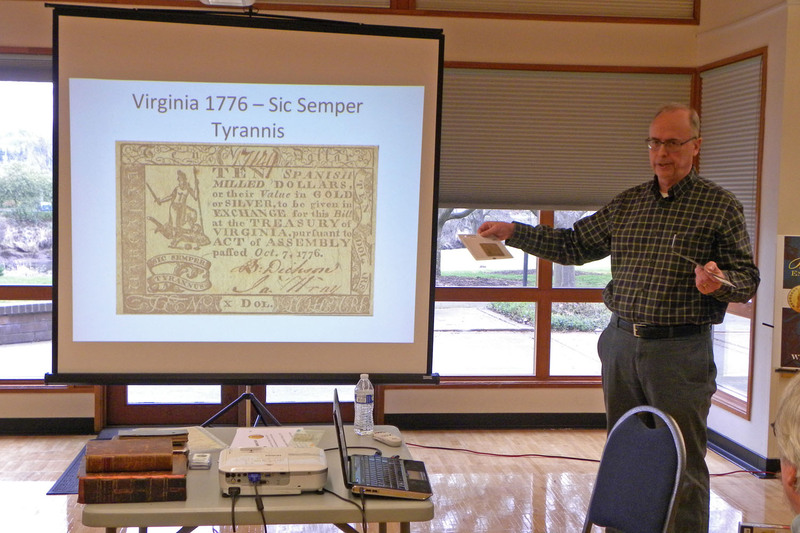 A Boy Scout workshop was offered by James Reinders, and was well-attended this year, with approximately 25 Scouts. There were five competitive collector exhibits this year in 19 cases. There was an additional ten-case non-competitive exhibit of short snorters. 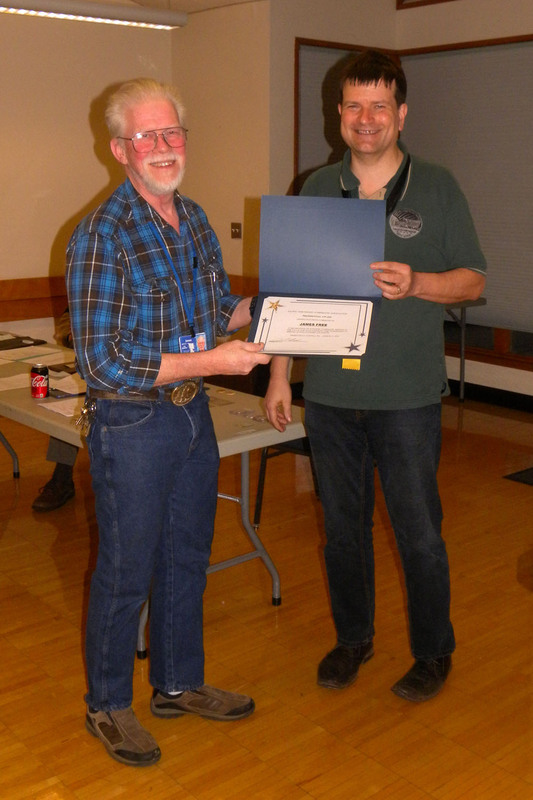 The annual PNNA general membership and awards meeting was held on Saturday March 17 after the close of the bourse. Board and general membership meeting minutes are posted on the meeting minutes page. Special thanks to Kevin Charboneau for serving as general chairman for the 2018 convention. This was Kevin's fifth convention as chairman, and he always does a great job. 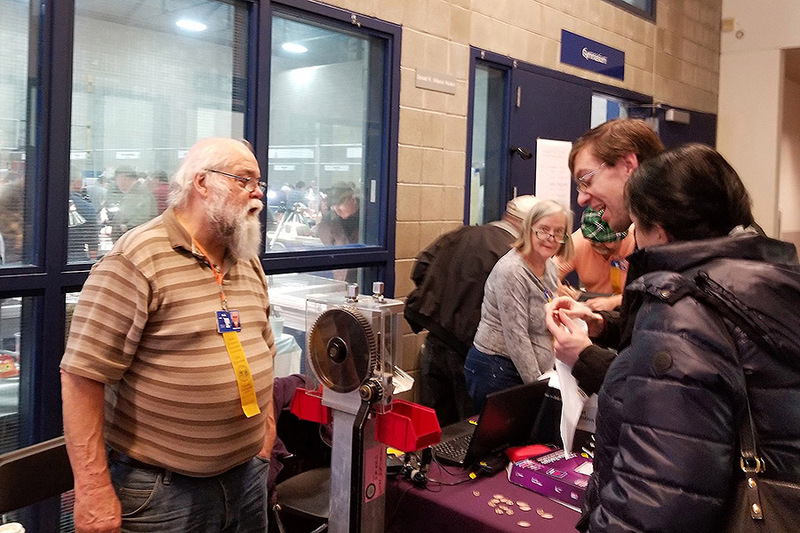 Rick Schulz is a PNNA board member, president of the South Hill Coin Club (SHCC) in Puyallup, and PNNA coordinator for the Washington State (Puyallup) Fair Hobby Hall booth. Hey, it's April! No foolin'. Time once again for spring showers, and you know what that brings? 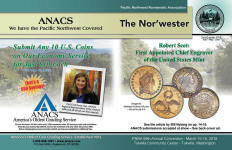 Wet coin collectors! April also brings a big thank-you from your somewhat less than humble president. Thank-you to everyone who turned out for the PNNA convention. As host club for the convention, South Hill Coin Club was there in fantastic numbers to haul in and set up cases, lights and other convention stuff and then come back throughout the weekend to help out at the door and do other miscellaneous tasks. Then, after the show, pack it all up and load it back into storage. According to several PNNA folks I talked to, this was one of the best conventions and shows in recent memory. And, it was fun! And, I slept for a week! The public turned out in big numbers too. There weren't too many lulls at the registration desk throughout the weekend. And, as predicted, there was a lot of cool stuff offered for sale and lots of activities. Kids and parents had fun with the treasure hunt. 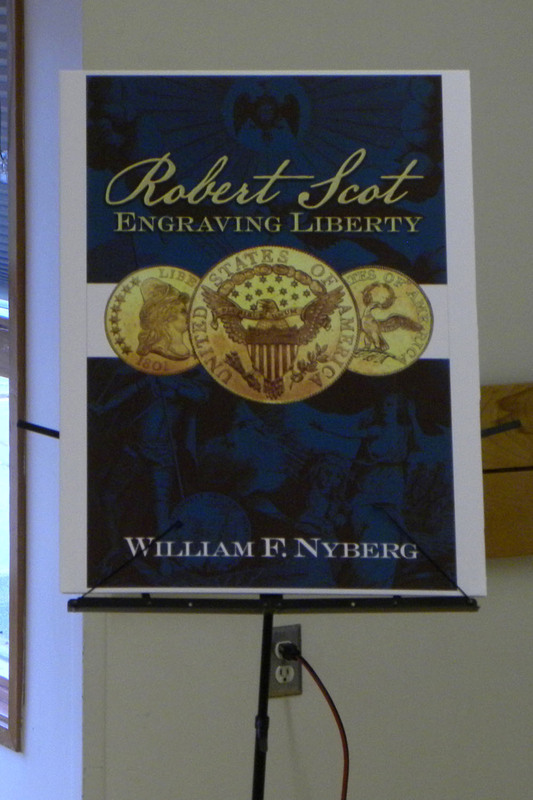 Scouts earned their coin collecting merit badge. And, the exhibit room was filled with folks examining and voting on numerous displays. And we helped make it happen. 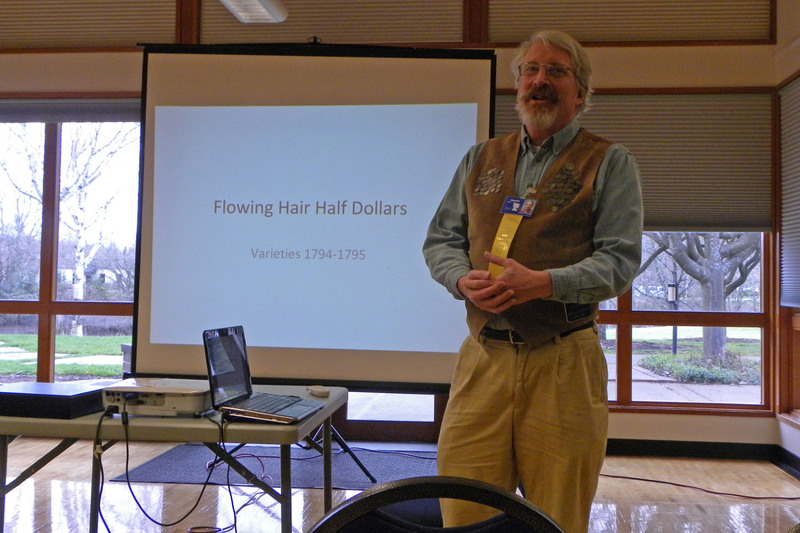 Numismatic Theater chairman Gawain O'Connor followed up with a talk on "Flowing Hair Half Dollars 1794-1795," presenting all the known varieties of the first half dollar designed by Robert Scot. John Brown, the recipient of the Bob Everett Memorial Award, was not in attendance, so the award was presented later at John's club. 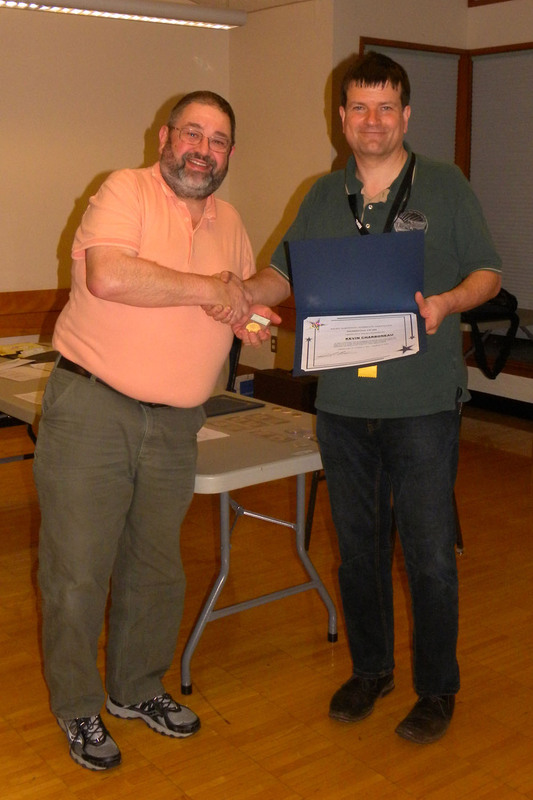 John was recognized for his extensive service to the PNNA (including as secretary), as well as to numismatics in the Salem and Portland areas. 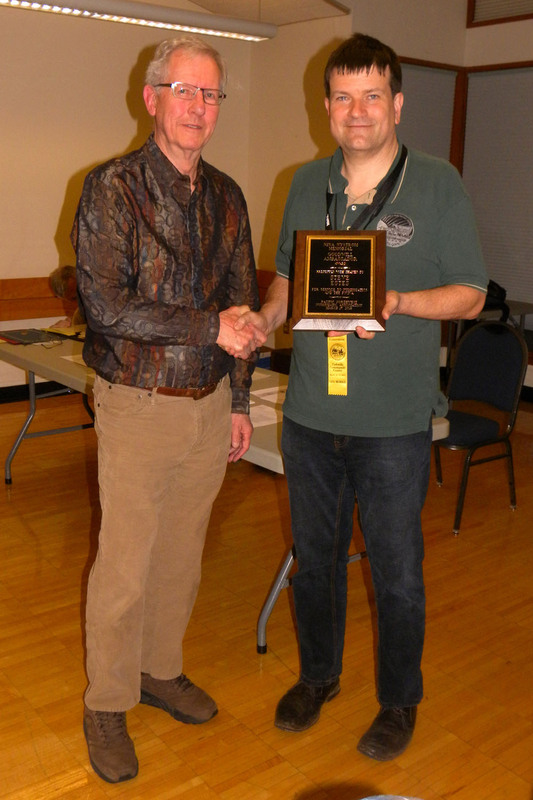 Steve Estes (left) received the Nina Nystrom Memorial Goodwill Ambassador Award from PNNA president James Reinders (right). Steve is a longtime well-respected Portland-area dealer who has helped to promote collecting. 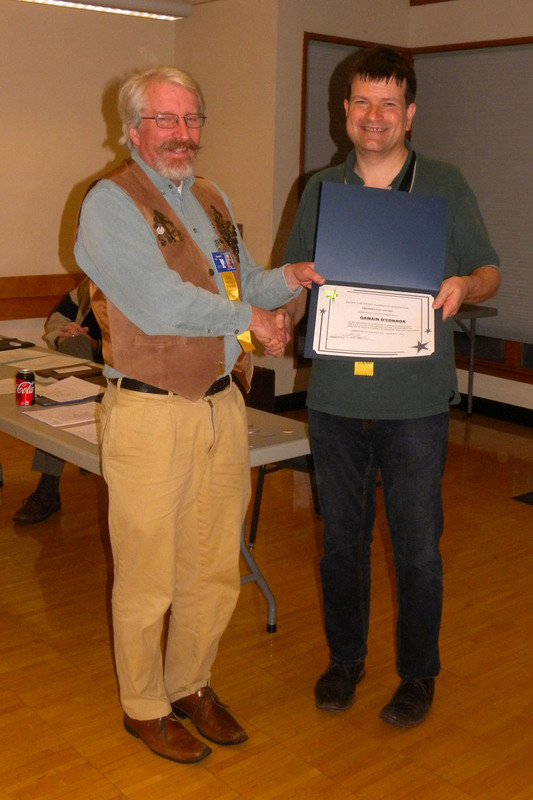 PNNA presidential awards were presented to (L to R) Tukwila convention chairman Kevin Charboneau, PNNA board member James Free, Numismatic Theater chairman Gawain O'Connor and Puyallup Fair chairman Rick Schulz. 2nd place - Olympia Coin Club. PNNA literary awards for best article in The Nor'wester (2nd Q 2017 - 1st Q 2018) were as follows: 1st Place - "The Wright Brothers and a National Bank President" by Tom Tullis; 2nd Place - "An Annual Medal – One Club’s Tradition" by Tony Kalt; 3rd Place - "North and South, the Strangest Metals" by Mark Benvenuto. 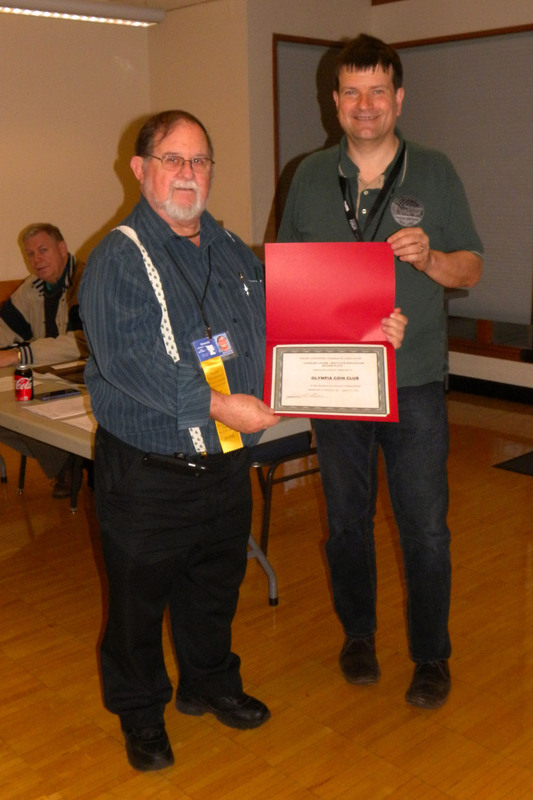 Left: Rick Schulz (left) accepts the 1st place best club newsletter award from James Reinders (right) on behalf of the South Hill Coin Club. 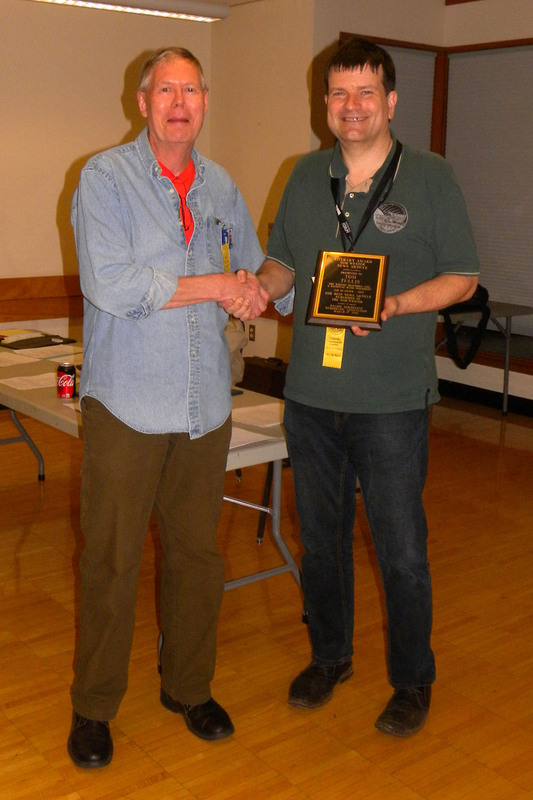 Right: Dennis Reed (left) accepts the 2nd place best club newsletter award from James Reinders (right) on behalf of the Olympia Coin Club. 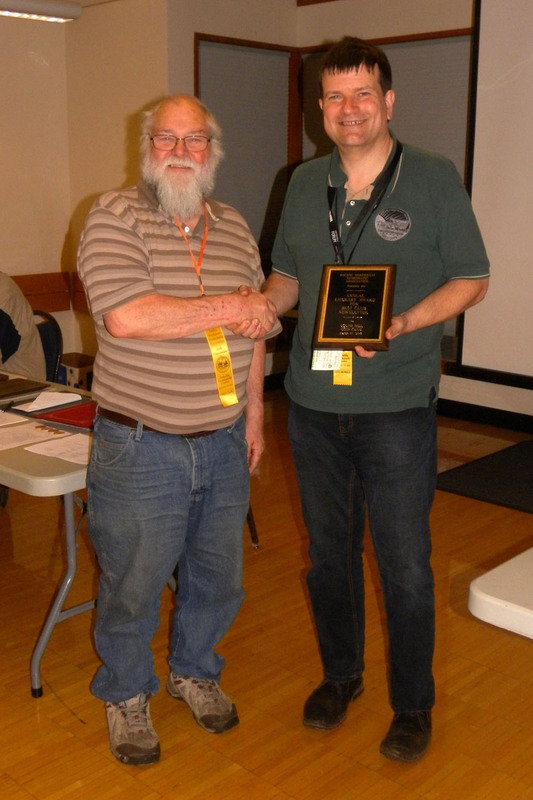 Tom Tullis (left) accepts the 1st place best article in The Nor'wester award from James Reinders (right). 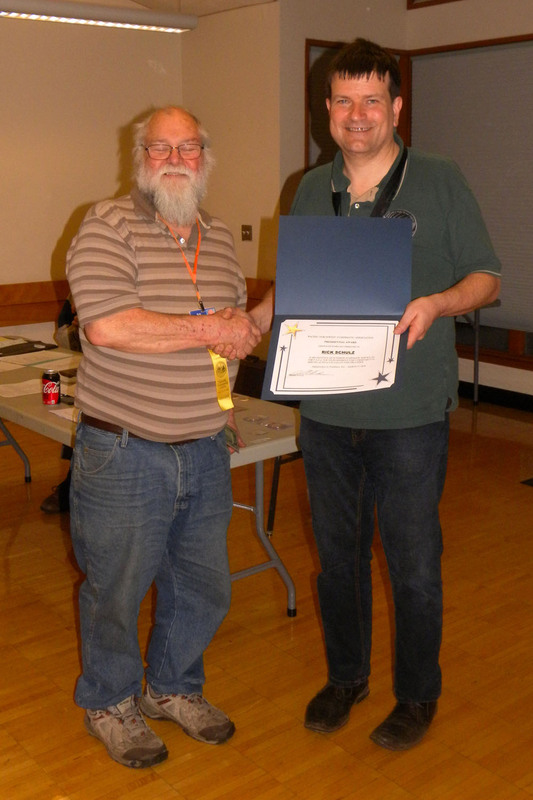 Tom was also the Best-of-Show collector exhibit award winner - See the collector exhibits page for this year.